Are Blacks Tired of Killing Each Other? At my son’s football game Friday night, I took notice of something special that no doubt happens all across this nation every day: Little kids — four, five, ten years old playing with each other on the sidelines, in the stands, on the playground, in the parking lot — and having a ball. What’s so special about that? The kids were of all races and no one got shot, stabbed or killed. They don’t know they’re supposed to hate and despise each other. They haven’t been taught their skin color makes them different to the point where they are at war. They’re equal in their innocence. Sadly, they’ll soon be exposed to leaders and a media who make it their mission to divide them and end the fun. You’re not born with racism — it’s something you learn. 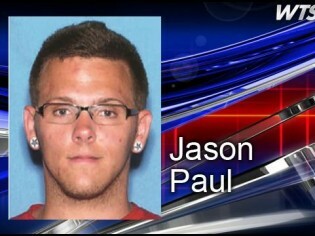 Which brings me to just the latest in a recent string of stories: This past week in Florida, police arrested 16-year-old Mychal King for the alleged murder of Jason Taylor Paul. Police say King admitted to killing Paul because he “had a hard day” and “just wanted to kill the first person he saw.” The first person he saw was white. So did Mychal King kill Jason Taylor Paul because he was white or he was “the first person he saw;” as the media is buying into? After all, when two blacks and a white kid killed the Australian baseball player in Oklahoma there was a mad media rush to point out that in no way was it racially motivated. Only later did some simple investigation reveal a history of hatred toward the white race on the part of one of the black kids. Gang-life, rap-music, drug-use — all the stereotype behavior and hate language was right there online in the tweets and websites. Yet the guilty white liberal media couldn’t wait to proclaim the crime hate and race-free. Just like whenever there is a shooting they jump to the immediate conclusion that it must be someone from the Tea Party. George Zimmerman was not motivated by race, nor is he white. Try saying that in a room full of blacks or media types though. Good luck with that because they’re not children any longer — they’ve learned to hate based on skin color. What is going on… are blacks tired of killing each other and so now they want to kill whites? Perhaps because of the rhetoric of so-called black leaders, the race-baiters, the mainstream media and President Obama — open season has been declared on whites. The Al Sharpton’s and Jesse Jackson’s of the world will tell you it’s all about poverty, but they are dead wrong. Poverty does not cause the decay of morals and values, the leadership in their communities has. You didn’t see racial violence and murder like this during the Depression and things were much worse in terms of poverty. When kids are exposed to nothing but decrepit and hate-filled, misogynistic music day in and day out, what do you expect the effect would be? The purveyors and distributors of this poison will say it’s art and only reflective of the horrific and hopeless life kids in the inner-cities lead, but that’s a lie. They know it. If it doesn’t influence young minds, then walk over to Madison Avenue and tell the advertising industry that people are spending $500 billion per year on something that doesn’t work. Government enables the young, poor, black female to have babies out of wedlock. People are quick to condemn, but where else are these desperate and powerless girls going to receive any unconditional love other than to have a child themselves? It’s the single most thing they crave — we all do — but most young girls get it from parents, grandparents, siblings, a spouse, neighbors, fellowship and friends. The babies can wait until a marriage and future is firmly in place, but Uncle Sam is all anyone needs in the ghetto. I’m not judging the poor girl, but all Al Sharpton and the rest of them want is for her to stay poor, keep the numbers up and perpetuate the hate and voting behavior. Contemporary race-pimps are truly evil to their own kind and are anathema to the message of Dr. Martin Luther King Jr. So back to the murder: Listen to the mainstream media and you’d swear it’s whitey killing and oppressing blacks in record numbers that would make slavery blush. Facts are pesky though — crime statistics show that whenever black and white violence occurs, around 90% of the time the perp is black and the victim is white. Random acts of violence by whites against blacks went out of style 50 years ago and it is very rare these days. But I listen to people like Jay-Z and others who warn of a coming race war and I think, why would black people want to encourage such a thing? The deal they have right now is they can murder each other, they can murder whites and white people in turn do nothing and in fact, report on television that it really isn’t happening. It’s strange at best, but the guilty white syndrome has taken us to a whole new level where whites are in denial about what would happen if they walk down the wrong street. As just a little proof of the media’s willingness to not just play along, but to craft and drive the narrative; the other day the LA Times did a report on how Democrats pushed through Civil Rights legislation. This is a blatant and intentional historical lie, meant to perpetuate the fallacy that Democrats are the Party of the minority, when in fact the opposite is the truth: Republicans made Civil Rights legislation happen and the LA Times knows it. Next they’ll report that the Klan, Jim Crow and the Trail of Tears were not Democrat ideas. Then it’s on to the Japanese internment camps of World War II — how are they going to fool people into thinking it wasn’t their welfare hero FDR? They’ll think of something. And what if the tables were turned? If white people were in the minority in this country, what would reparations look like? I think we’d all have a bad day.